A group of BICS educators and parents/guardians formed the BICS Diversity Group several years ago with the intention of its participants learning more about diversity and inclusivity and contributing to making BICS a more inclusive school. We are also organizing Multicultural Week for March 11-16, 2019. Preceding the week, the Diversity Group hosted Alden Habacon who offered a workshop for the community of Bowen Island on inclusion literacy. In Mr. Habacon’s presentation, he spoke of the A, B, Cs of inclusion; three key elements for a school, workplace or organization to be inclusive. Organizations that ensure people feel they are treated fairly, where they feel their uniqueness is valued while also feeling a sense of common belonging to the organization, and where they have a voice over decisions, typically have inclusive cultures. The intent of our week is to recognize and celebrate differences amongst cultures. Mr. Habacon started his talk explaining the difference between intent and impact and our Diversity Group is keenly aware that there may be a difference between our intent and impact with respect to offering a Multicultural Week. After all, we’re calling it “Multicultural Week”. How much value can be attributed to something that’s only given a week’s focus? On the other hand, if people were to wear poppies every day of the year, would the act of remembrance of soldiers be enhanced or diminished? I suspect the latter. A focused week does not mean that is the only time attention is drawn to a topic, but it does highlight its importance. That is certainly the case with learning about diversity and inclusion at BICS. Further, what aspects of culture can actually be shared to an audience of 333 children, aged 5-13, all within a short period of time and are these really the most important aspects of culture worth learning about or sharing? culture would also vary between people of a particular culture. Deep culture is therefore not something that we will be able to feature prominently in our Multicultural Week; however, deep culture would be a great topic of discussion for families in exploring their own culture. 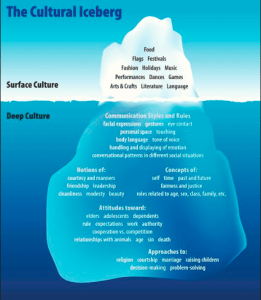 The iceberg offers some entry points for an examination of a person or family’s beliefs that may be rooted in their culture. Is it worth it then at school just skimming the cultural surface? I think it is as long as everyone involved knows that is what we are doing. We are not trying to overpromise what will be learned during Multicultural Week. Rather, we are highlighting that the differences among how people live are worth learning about and to appreciate that the culture that students may be influenced by is one of many equally valid ways of living. Our intent is that students gain some awareness and understanding for some of the differences among cultures, an awareness that cultures don’t just belong to other groups but that we all have been influenced by both the deep and surface cultures of our families, an appreciation that these differences suggest there are many ways of doing and of being, and most importantly, an openness and curiousity for learning more both about their own culture and the culture of others. The impact of multicultural week remains to be seen and as our purpose is to stimulate curiousity this impact may remain to be seen for some time to come. What does meaningfully recognizing Orange Shirt Day look like in an Elementary School? Our BICS Indigenous Education Committee, consisting of teachers and parents/guardians, has been considering that question since our school dipped our toe in the water in 2016 by recognizing Orange Shirt Day via a brief email to parents and as part of a September assembly. Those efforts did little more than to simply recognize the existence of Orange Shirt Day. With a K-7 student population, which in October means 4 year-olds to 12 year-olds, recognizing Orange Shirt Day in a meaningful way is not simple. Our Committee recognized that with significant differences in developmental readiness, much of the learning should happen in classrooms so the Committee offered teachers a menu of learning related to Indian Residential Schools and supportive, authentic Indigenous resources. But school-wide learning was also needed. 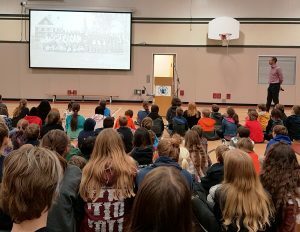 Events and learning that happens school-wide are often identified by students and families as being important and we wanted students to know that recognizing Orange Shirt Day, and learning about Indian Residential Schools in Canada, was important. So, we held an intermediate assembly on Monday, October 15, and a school-wide assembly on Wednesday, October 17. On Monday, we shared the story of Phyllis Webstad, the founder of Orange Shirt Day, noting the inspiring motto of the day, “Every Child Matters” and unpacking the phrase. Grade 4-5 students also shared some of their learning from their classrooms about how the Indian Residential School system contrasted so sharply with the United Nations Convention on the Rights of the Child. On Wednesday, students and staff wore paper orange paper cut-out shirts which had the message, “I will __________, because Every Child Matters.” The point was to impress upon students that we have a collective responsibility for making the statement Every Child Matters true. During our school-wide assembly, we also celebrated a little bit of the Squamish culture with Squamish elder Sahplek, Bob Baker, who shared several songs with us, including “Esḵéḵxw ta sp’áḵwus,” “The Gathering of Eagles,” which students have been learning to sing along with over the last year. It was a great opportunity for students to further develop a personal relationship with Sahplek and the Squamish Nation and to gain a greater appreciation for aspects of Squamish culture and storytelling. Grade 7 students glued the 370 orange shirt cut-outs onto a piece of paper to preserve their “I will” statements beyond Orange Shirt Day. They are presently displayed on a bulletin board outside of the office. In addition to our efforts with students in school, our committee decided that parent education and community education would be essential as conversations about reconciliation are important family conversations. On October 13, we offered a free screening of the film Indian Horse for the community and several members of our committee shared with attendees a list of authentic indigenous resources related to Indian Residential Schools in Canada that parents and community members could use to further their learning and stimulate conversations. To draw community members to the film, a member of our committee wrote an article for The Undercurrent explaining the significance of the film. Sahplek welcomed attendees to the screening and shared the important message that Indian Horse tells just one story among far too many. Sahplek spoke a little bit about his experiences in residential school as well. Following the film, Sahplek told the audience that while it is important that viewers attempt to contemplate the tragedy and loss of residential schools, it is also important to move forward together positively, and so, he led attendees in a song together. It was a powerful conclusion to the evening. Indigenous worldviews and learning are embedded throughout the curriculum but Orange Shirt Day – and Orange Shirt Week as we referred to it – provides a specific opportunity for educators, students, and families to make evident a commitment to rooting out discriminatory beliefs and actions that were the rotten core of the Residential School System. For our youngest learners, it is an opportunity to reinforce the point that they matter and that they have a responsibility to their peers to ensure their peers feel like they matter too. I am grateful to our Indigenous Education Committee for their important work. Thank you Andrea, Beverley, Carmen, Cindy, Fraser, Jane, Katie, Laura, Meribeth, Sarah, Sarah, Simon, and Stephanie. With the exception of mass extinctions, many would argue that the world is changing more quickly now than ever before; climate, as well as technology changing the way people live, are two of the most obvious examples. In the late summer, West Vancouver Schools principals and vice-principals participated in a workshop with Discovery Education’s Hall Davidson. Mr. Davidson spoke about some of the technologies that are, and will, change the way students learn including Artificial Intelligence (AI), Virtual Reality (VR), and Augmented Reality (AR). Disruptions to the status quo that prompt change are often a good thing, but they can also distract from an organization’s or a system’s true purpose. The disruption could also be significant enough to alter an organization’s or system’s purpose. 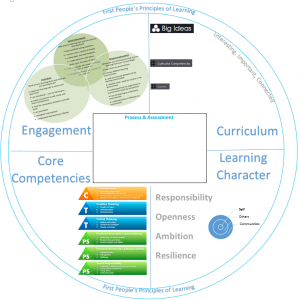 In an elementary school, when evaluating the benefits of new tools and ideas in education, and trying to gauge how much prominence, if any, such tools and ideas should have in the learning of 5-13 year olds, a lens or framework is helpful. Over the summer, I’ve been thinking about learning that is timeless, timely or both. In an elementary school, there is still plenty of room for teaching timeless skills: reading, writing, numeracy and social and emotional learning. The value of these skills has never diminished and many would argue that with the internet providing access to abundant and potentially overwhelming information, as well as providing platforms (blogs, social media such as YouTube, Instagram, Facebook, and Twitter) for self-expression and an audience, literacy skills are becoming even more valuable. There is also great value in teaching timely skills and concepts. The increasing role of technology in our lives makes learning the basics of computer programming timely; coding is interesting to many students and is becoming another part of understanding the world. As one evaluates the prominence that coding or any other timely learning such as VR and AR should play in a young person’s education, it is worth examining if that timely learning has timeless roots. For coding, there is much to be learned about the concepts of computational thinking such as (1) breaking a problem down into parts or steps, (2) identifying patterns, (3) developing instructions to solve a problem, and (4) generalizing patterns into rules. Such concepts of problem solving are applicable for areas of learning unrelated to technology and possibly fall into the timeless category. If in the future machines come to do almost all of the coding and coding becomes a far less valuable skill, or less valuable for many people to have, the skills and concepts of computational thinking will endure and continue to be taught. Even without timeless roots, however, there is room for timely learning. In addition to it (usually) being interesting, timely learning also helps students understand what it means to be a learner. Thriving in a period of rapid change requires curiousity and open-mindedness to try new things, agility to adapt to change, and pivoting to work around roadblocks. Sometimes what is learned (content, skill, or competency) is less important than developing key traits of a learner’s mindset such as open-mindedness. 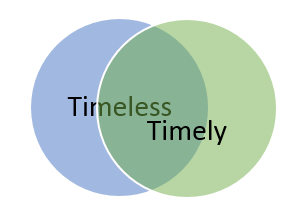 The overlap between “Timeless” and “Timely” learning continues to expand. Timeless learning such as developing literacy skills should, whenever possible, incorporate timely enhancements such as using tools like Google Read & Write to help with comprehension, or Discovery Education Techbook to access vetted, developmentally appropriate, resources. I don’t have the answer for how much learning should be timeless, timely, or both, only that learning should be in all three zones. Try everything that can be done. Be deliberate. Be spontaneous. Be thoughtful. Be painstaking. Be abandoned and impulsive. Learn your own possibilities. Learners – whether they be educators or students – can be many things, whether it be a teacher very carefully crafting a well-developed year plan of how a student is going to learn to read or at other times, they can be spontaneous, maybe even “abandoned”, in trying something new simply because learners should try new things. Such is the mindset of someone, or the culture of an organization, with great possibilities. How will people get around 20 years from now? Answering this difficult question is part of the challenge BC Ferries is facing in redesigning one of their busiest ferry terminals, Horseshoe Bay. Ferries are usually an “in between” form of travel: rarely is the area immediately surrounding a ferry terminal the destination, and so, BC Ferries’ terminals must synergize with how people get to the departure terminal and leave from the arrival terminal. Unlike a smartphone, which is somewhat nimble in adapting to new technologies (for a few years anyway), designing a ferry terminal intended to last decades is a little more of a commitment; especially the parts of the terminal made of concrete. How does one design something with such a lifespan? BC Ferries is currently consulting with various stakeholders and trying to get a sense of what its passengers (commuters, domestic vacationers, foreign tourists) hope for and need from a redesigned terminal. When BC Ferries requested that students participate in the consultation process, we jumped at the chance: what a terrific, real-world, opportunity for students to apply their understanding of some aspects of the design process to share ideas with BC Ferries and also learn a little bit about what factors BC Ferries is considering in their redesign. BC Ferries – factors to be considered in making decisions about the HSB Terminal redesign. Embedded in the practical considerations of how the terminal will accommodate various vessels are ethical decisions: what is the most sustainable form of transportation both on the water (electric ferries coming soon?) and to and from terminals? How will the terminal be accessible for all passengers? And how will the terminal be respectful of its neighbours? Students have the opportunity to apply some of their learning from the Future City Project that students participated in earlier, where they imagined, researched, and designed, cities of the future that attempted to solve issues of sustainability and accessibility. The BC Ministry of Education’s Applied Design, Skills and Technologies (ADST) Curriculum, touted for providing hands on learning opportunities such as sewing or woodworking, also provides opportunities for more abstract thinking, such as offering input on the design of a ferry terminal intended to accommodate, and seamlessly integrate with, several generations of transportation methods. Students will be submitting design ideas to BC Ferries which will be featured in some of the upcoming consultations they are doing with communities. Opportunities to learn about real-world design are limited only by one’s initiative and capacity to think as a designer. A developed and deliberate method of observation can allow almost any object or system to be examined, both for its form and function. Another class at BICS, not engaged in the BC Ferries consultation but engaged in other aspects of the ADST curriculum throughout the year, is learning about universal design. They have been working with Javier Estebecorena of Hermanos Estebecorena Design Studio. Mr. Estebecorena is a designer and mechanical technician, and fortunately for our school, a parent of children at BICS. He has been volunteering his time with students to teach them design thinking, sharing his insights of universal design and assisting them to make observations based on functional, aesthetic, social and economic perspectives and to expand their responses to products and systems beyond simple judgements of like and dislike. His hope is that from their earliest learning, students think of design universally, in other words, they understand that the same principles and many of the same processes apply to all forms of design. 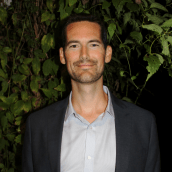 Mr. Estebecorena also hopes for students to feel empowered to be doers, to be more than just people who use things created by others, but become creators themselves, whether that be by creating physical items, or by creating ideas that challenge traditional perceptions or ways of doing. This is the essence of the ADST curriculum and I look forward to sharing more of this work in future blog posts as students continue to work with Mr. Estebecorena. Mr. Estebecorena will also work with our Community School Coordinator, Sarah Haxby, on our “slug art” by designing eye-catching signage that encourages cars to slow down in the school zone. These designs will be featured as part of our Bike to School Week, May 28 – June 3. BICS students are very engaged in the ADST curriculum, whether it be through creating (knitting, sewing, some classes even doing woodworking) or thinking like a designer in order to understand complex systems and propose solutions to some of the challenges we face. In a variety of ways, the ADST curriculum is proving to be one of the most interesting additions to BC’s revised curriculum and aspects of this curriculum will be featured in future blog posts. Hosting a thoughtful Remembrance Day Ceremony is not an easy task. We call it Remembrance Day but few people in this gym have any memories of war. Most of us likely do not even have a family member who has experienced war so are not even able to remember stories told about war. So if remembrance, for most of us anyway, is not about recalling memories, what does remembrance mean? We owe it to the men and women who have risked their lives and often lost their lives in service of our country to remain aware of, or become aware of, their heroism, sacrifice and loss. 118 000 Canadian men and women have died in service of our country, many of them, and I would think most of them, died young, in their 20s, 30s and 40s; some even in their teens. Many more soldiers returned home with severe, life altering injuries, and others returned home deeply impacted by the stresses of witnessing or being a part of horrifying, traumatic events. So, remembrance is appreciation – appreciation for the men and women who have courageously served our country with the seemingly contradictory aim of establishing peace through fighting. And remembrance is sadness, for the loss of so many people who fought for, and died for, a peace they themselves would never get to enjoy. In a sense, many soldiers traded peace in their lives for peace in ours. Remembrance is learning, learning about the wars and peace keeping missions that Canada has participated in and learning about other conflicts as well. When we learn about and try to understand the devastation that wars have had on soldiers, Canadians and others, on men, women, and on children, as well as the destruction of the land, one cannot help but conclude that war is the ultimate failure of humanity; it is a last resort in attempting to resolve a conflict with the intention that there will ultimately be a winner and loser when truly all sides involved in war suffer. Remembrance is therefore a caution, a caution that all peaceful methods of solving conflict should be pursued before resorting to threats and violence. We must also acknowledge that Remembrance is privilege. How fortunate are we to remember – past tense – people who have sacrificed and suffered in war. Not all, but most Canadians are not at present directly impacted by war – we live freely, in a democratic country, and for us living on Bowen Island, or nearby areas, we live in one of the safest places in the world. We must acknowledge that this privilege is not afforded to everyone – the people of Afghanistan, Syria, Iraq, Turkey, Somalia, Mali, Libya, Sudan, Nigeria, Yemen, Myanmar – the list goes on – do not have the comfort and security that I think most people gathered here today feel, and quite frankly, take for granted. And really, shouldn’t we be able to take being safe for granted? This sense of safety and security should not be a privilege, it should be afforded to all. But it is not, so remembrance is responsibility. We cannot simply enjoy our privilege. The people of Bowen Island, and the people of Canada generally, have responded to the responsibility of helping others from around the world in need of safety and security, accepting them as refugees with the belief that they will enrich our country, not threaten it. Remembrance is many different things to different people. For all of us, though, I suspect remembrance is sadness; sadness for the loss of life from war and sadness that despite sacrifice, no war has yet become the war to end all wars.